But does a potential title charge depend on their Honda engine? 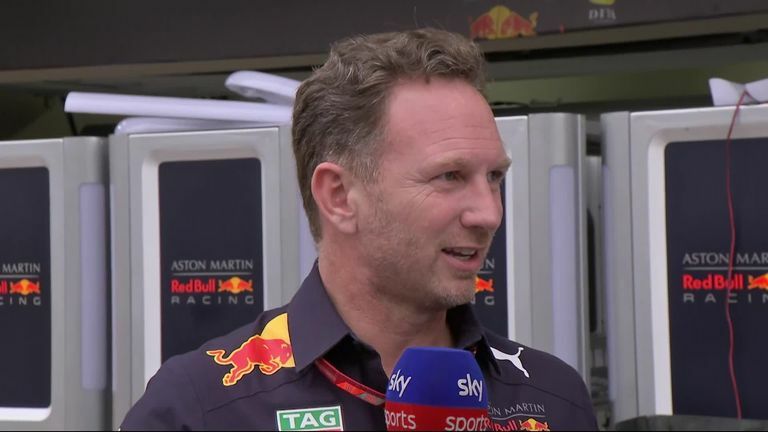 Speaking in Brazil, Red Bull team boss Christian Horner said the new partnership with Honda will put them in a stronger position to challenge Mercedes next year. Expectation is mounting in the F1 paddock that Red Bull can emerge as genuine title challengers next year when they will be powered by Honda. Red Bull previously enjoyed all of their championship-winning success between 2010 and 2013 with Renault but the partnership has floundered since the advent of F1's current hybrid-turbo era - during which period Mercedes have claimed five successive title doubles. But the team's recent form, and rumours about Honda's progress, has sparked optimism they can join the title fight next year. "We have a phenomenal team which can create a great car. As soon as we can get that little bit more horsepower, which it looks like Honda are delivering, then hopefully we can give them a hard time at every circuit," said team boss Christian Horner. "We have had a great car through this year. Our problem has been qualifying and straight-line performance. If we manage to address that, and all the numbers are looking encouraging, then it puts us in a stronger position." The big read: Why have Red Bull switched to Honda? "If they have power next year, they are serious contenders," commented Sky F1's Paul Di Resta. "There are whispers up and down this paddock that everyone is taking a drop with these new regulations but Red Bull are staying where they are. What l think Red Bull have told Honda is 'you just tell us how big that engine is and where it needs to go, and we will package around it'." Red Bull won the Mexican GP at the end of October while only Max Verstappen's crash with backmarker Esteban Ocon prevented the team securing back-to-back victories at Brazil. Why have Red Bull dropped Renault? Honda, meanwhile, have recently introduced a beefed-up engine for Toro Rosso which has offered greater straight-line speed, although its reliability has been patchy. When's the Abu Dhabi GP on Sky F1?